Yoga is a unique system that brings far more to the student than just strength and flexibility. Yoga increases circulation to detoxify the body, relax the mind, and reduce stress. Yoga is a complete health and well being system for living. 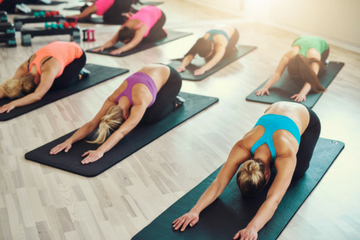 Our aim at YogaHealth Townsville is to create a yoga centre that allows you to find the yoga class that best suits your needs. We do this by offering you a variety of yoga classes and teachers. We welcome your feedback and suggestions as we strive to better enhance your experience at YogaHealth Townsville.